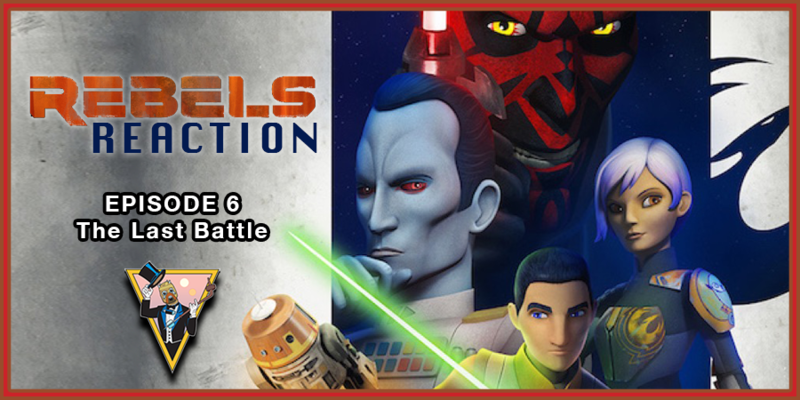 Welcome to Rebels Reaction, the show where we bring you our reactions to and commentary on the latest Star Wars Rebels episode. This week we react to S3E6 - The Last Battle and how Ezra brings a new perspective to the Clone Wars, Rex's PTSD, and those lovable B1 Battle Droids. What we thought could have been better.